Over the years my archiving system has taken a number of forms. It began with burning two copies of each DVD, which was terribly time consuming. Then, as the prices of external hard drives came down (and I was shooting more and more larger files) I began a rats nest of cables and daisy chained drives. At this point in time I got very bad about making a backup of my files (yes I know, but it was always on the "to-do list). This past fall I couldn't take it anymore, especially after inadvertently erasing a very important card of images during the World Equestrian Games before downloading it. I couldn't keep pushing my luck. After doing my research, a fortuitous meeting with Jesse at Springboard Media, I settled on a Drobo. 16TB of dual redundant storage! And a subscription with Backblaze which is constantly backing up my information. 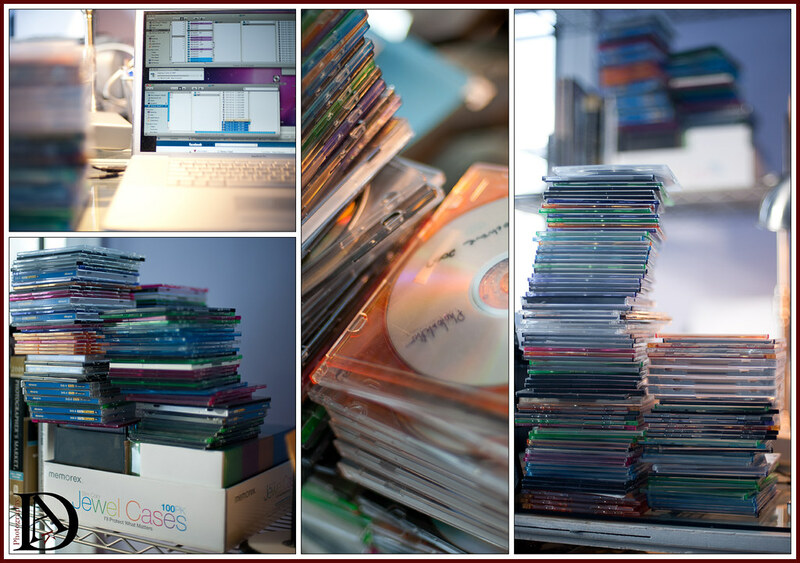 So my winter project has been to reclaim all my images from the disks from over the years. The scary part of this is that many of them have file errors! (I miss film, you can always get an image out of a scratched negative.) Disk scratches, sun exposure, bad burner, it doesn't matter, losing files is a very scary thing. So far there are only a few disks in my "need to fight with" pile. And you can see how many I have gotten through (I will never need to buy a jewel case ever again), and I think these are the last of them sitting next to me. Fingers crossed that I haven't waited too long!